Poor posture is a very common cause for chronic body aches. In some cases, it can even cause severe, debilitating pain and dysfunction. Essentially, posture refers to the position of your body and the relationship between your head, trunk and limbs. When you move, your posture changes. When the body is not properly aligned, it is not supported properly, and injuries and deformity can occur. With posture correction treatment and physical therapy for posture from Denver Physical Medicine & Rehab, pain caused by poor posture can be alleviated. The causes of poor posture fall into two categories: structural and positional. Structural causes include anatomical deformities, such differences in leg length and certain foot and ankle issues. Positional causes include things like poor posture habits, natural degenerative processes, excess weight, weakness and even psychological factors like poor self-esteem. Over reliance on support from non-ergonomic furniture, loss of the ability of perceive the position of the body, pain, muscle spasms, respiratory conditions and joint hypomobility and hypermobility are also positional causes of poor posture. Before your bad posture can be effectively treated, we need to determine the cause and perform a through examination. We will observe your posture as you sit and move about and check your spinal alignment. We may also perform flexibility and other diagnostic tests. 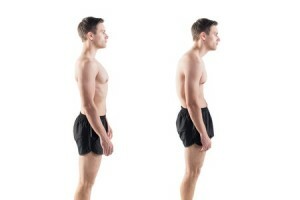 To correct your posture, we will employ a number of techniques which will be determined based on the outcome of your examination. We combine a number of techniques, including chiropractic care and physical therapy Denver, to create a comprehensive treatment plan designed to treat the source of the problem to improve your posture. We may also recommend things like custom orthotics, massage and strengthening exercises to correct postural problems. To learn more about Denver posture correction or to schedule your free initial consultation, call Denver Physical Medicine & Rehab at 303-757-7280.